Nexus 4 available in the Google Play Store | Android Blast! 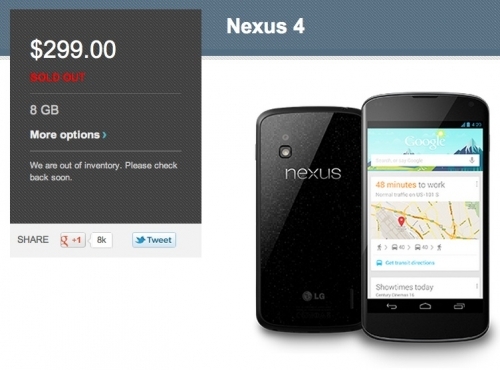 After being sold out for a short time, the Nexus 4 is now available in the Google Play Store. The shipping time is quoted as 1-2 weeks, so if you're in the market for a Nexus 4 you might not want to wait. The popular pure Google phone is very popular and has gone out of stock several times since it launched.